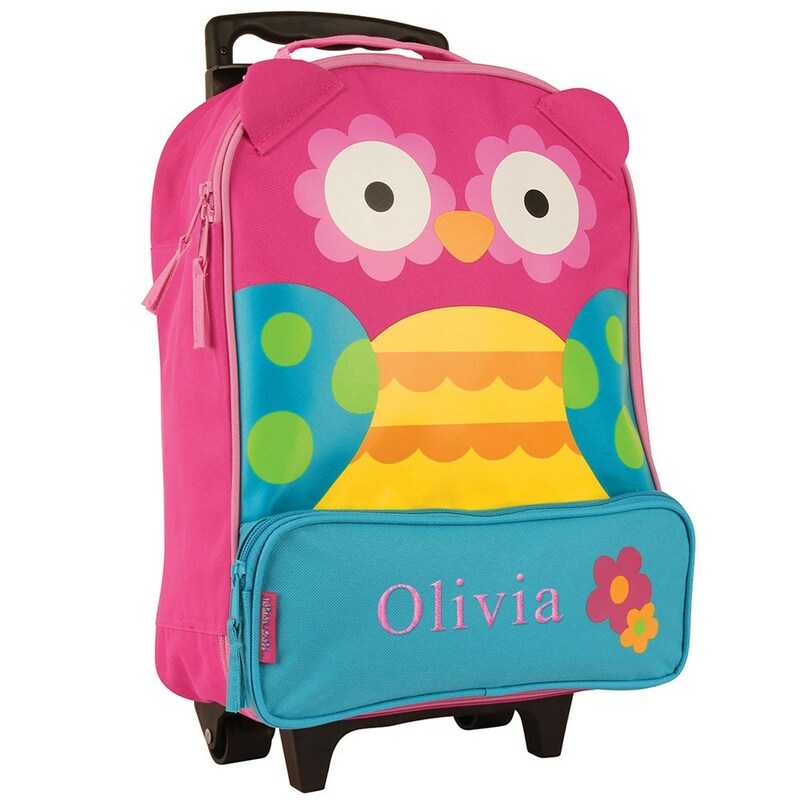 Packing their own luggage will be more fun with their very own Personalized Owl Rolling Luggage Bag. Our Personalized Kids Luggage is embroidered with Any name and choice of thread color. Your little one will be ready to go in no time. Makes a great overnight back or vacation back to any little girl.